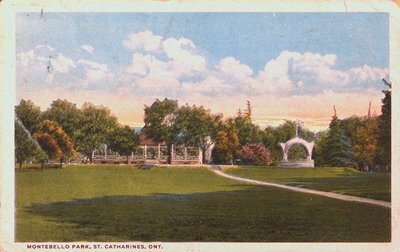 A postcard showing Montebello Park, St. Catharines, Ontario., c1910. The pavillion can be seen through the trees. The bandshell is to the rear and right of the pavillion . Montebello Park, St. Catharines, Ont.